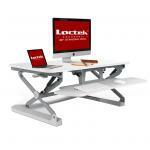 "The Locteck is solidly made, better than I expected. The "X" braces on the sides mean there is very little movement forwards and backwards. There is however a bit of wobble side to side. Enough to..."
"Absolutely love this! 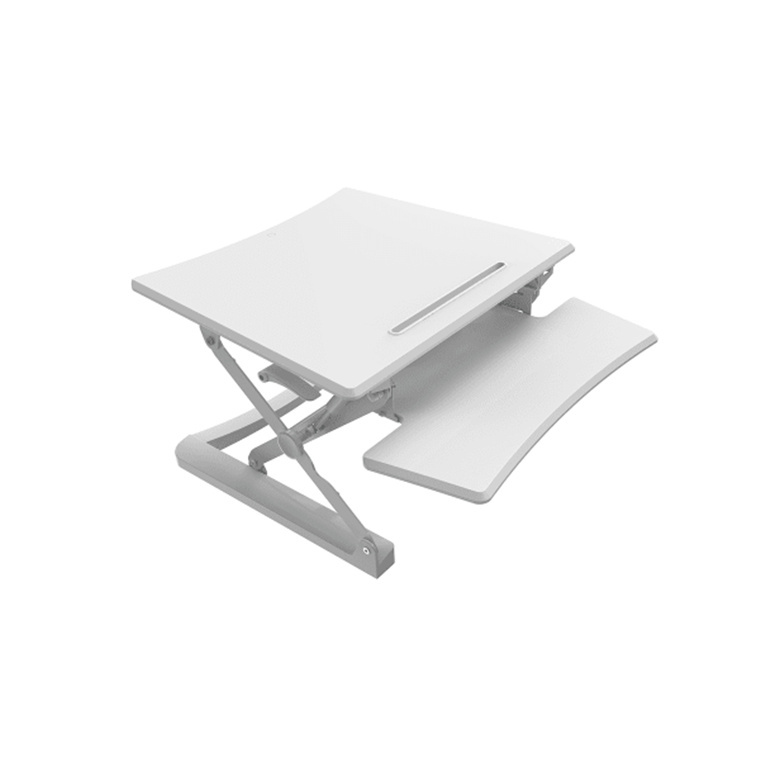 I have serious back issues and this allows me not to sit for too long and compress my spine. 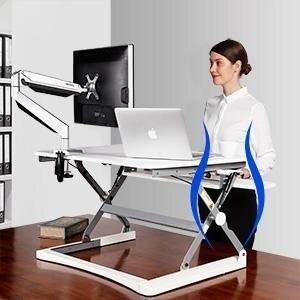 I have used it for the last month and already notice a BIG difference in work..."
"Spending over 60hrs per week at the computer my back was suffering. Despite having the best office chair available, the long hours spent sitting became torture!. After investing in the Loctek..."
- The gravity center kept on the same vertical line during the whole movement to avoid unexpected deviant. - Gas spring offers smooth and even support for any height you want. 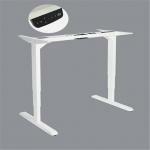 - Two knobs on each side offer easy height adjustment. View MoreThe Locteck is solidly made, better than I expected. The "X" braces on the sides mean there is very little movement forwards and backwards. There is however a bit of wobble side to side. Enough to make my monitor shake when the desk is raised in standing position and I type. The gas lift helps, but with an 11kg monitor and a couple odds and ends on the desk it still takes a moderate amount of effort to lift it into standing position. This might be relevant if like me you got the Locteck to help address back pain issues. I assumed in a sitting position having the Locteck on my desk would be worse than just having my keyboard and monitor laid out normally, but I've found it improves things instead. 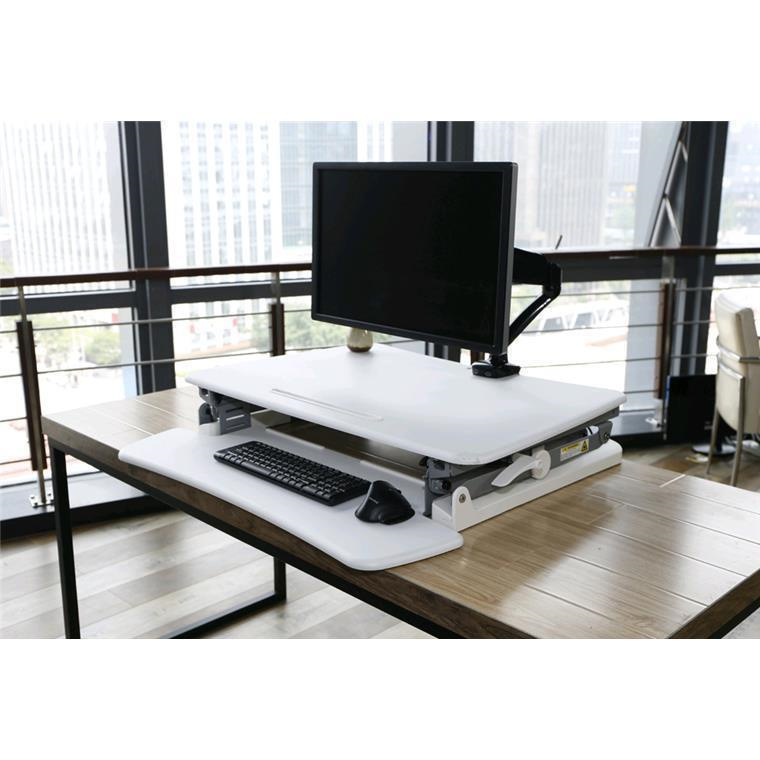 The Locteck acts like a monitor stand (just the right height for me) and the keyboard shelf hangs out over my existing desk a little making the keyboard more comfortable to use. Absolutely love this! 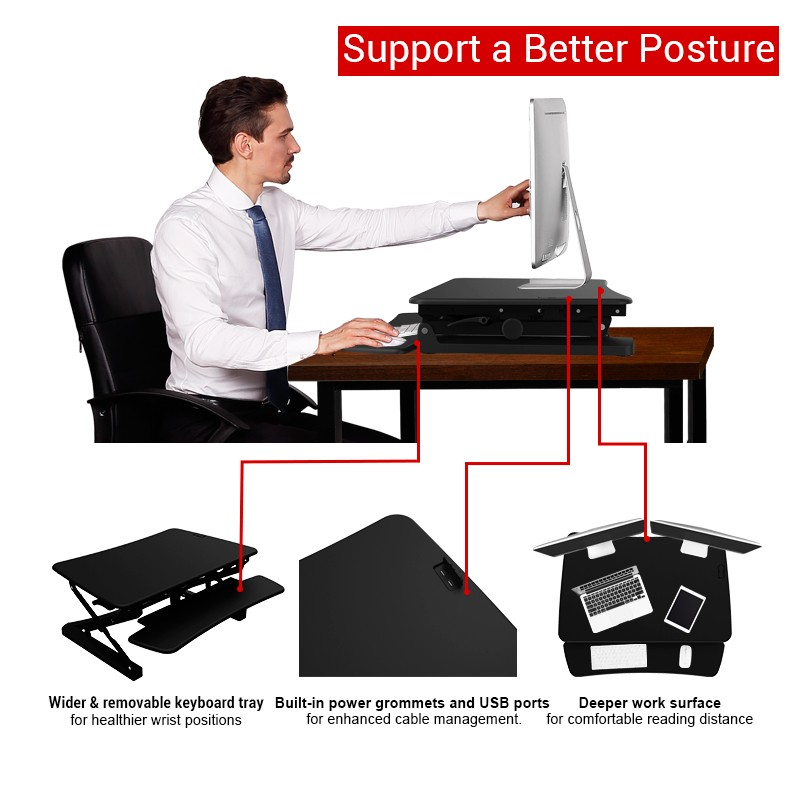 I have serious back issues and this allows me not to sit for too long and compress my spine. 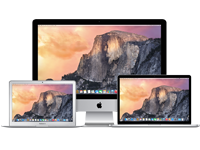 I have used it for the last month and already notice a BIG difference in work production. Very easy to put together and very easy to use. 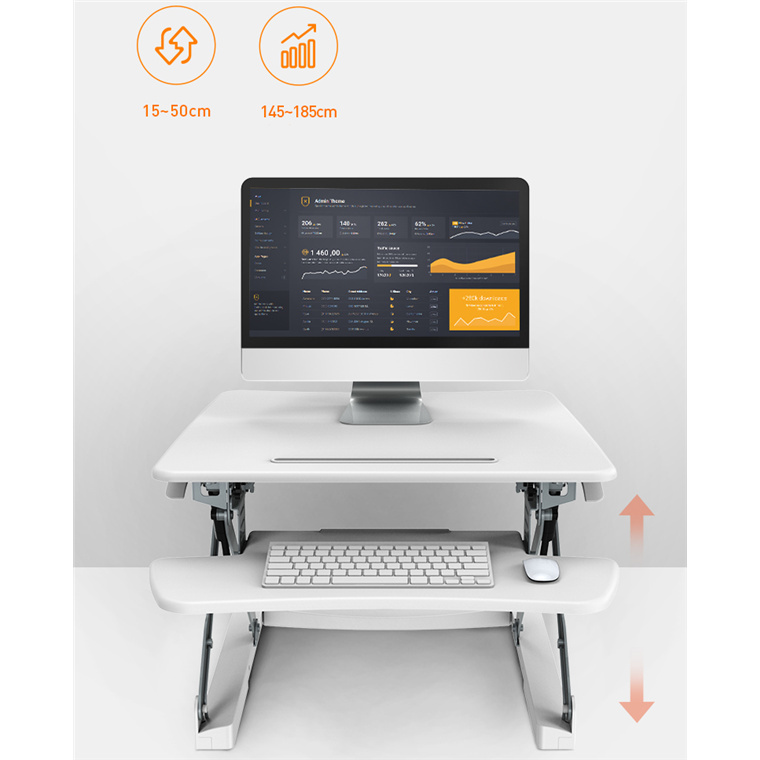 If you have a small desk then you need to check out your sizing first as it is a "workstation".Absolutely love this! 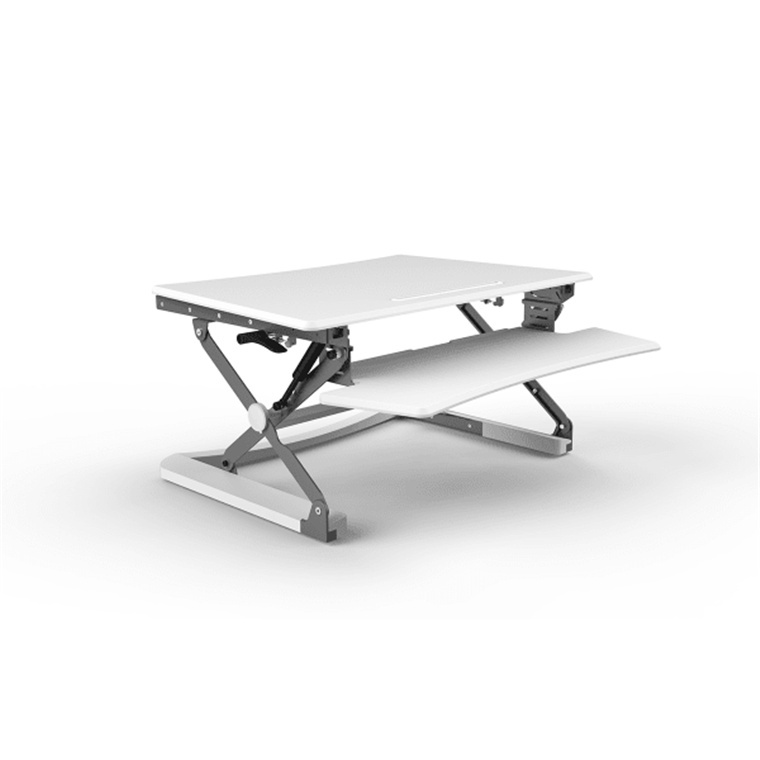 I have serious back issues and this allows me not to sit for too long and compress my spine. 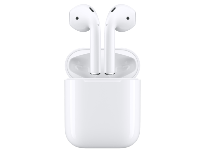 I have used it for the last month and already notice a BIG difference in work production. 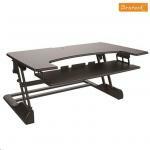 If you have a small desk then you need to check out your sizing first as it is a "workstation". Spending over 60hrs per week at the computer my back was suffering. Despite having the best office chair available, the long hours spent sitting became torture!. 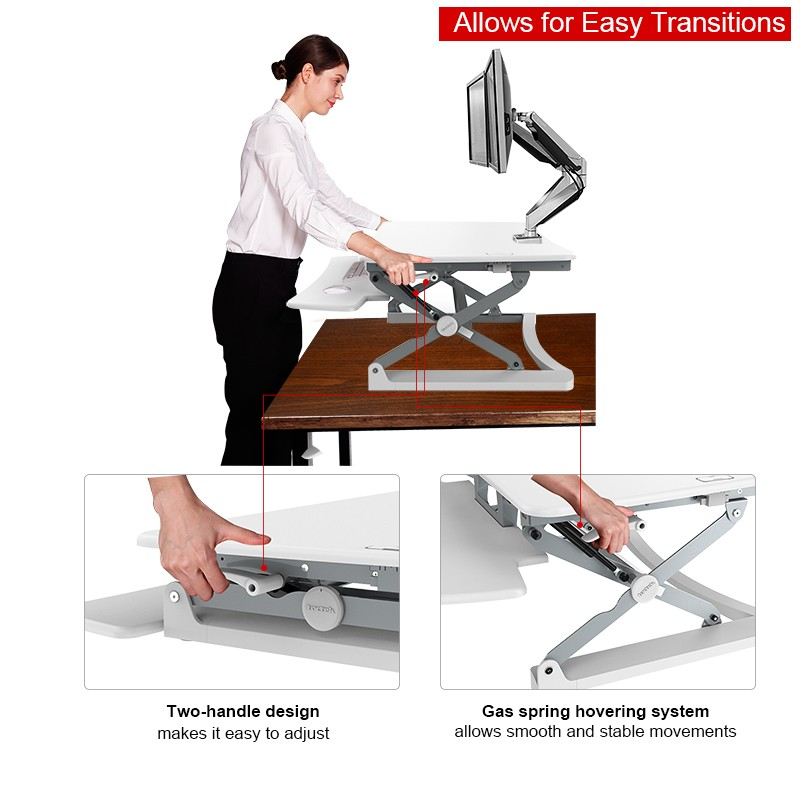 After investing in the Loctek workstation I can now stand at my desk and work with the same dual-monitors. My posture has improved and most of the back pain has gone. This product is well worth the investment to improve your health if, like me, you need to spend long hours at the keyboard. 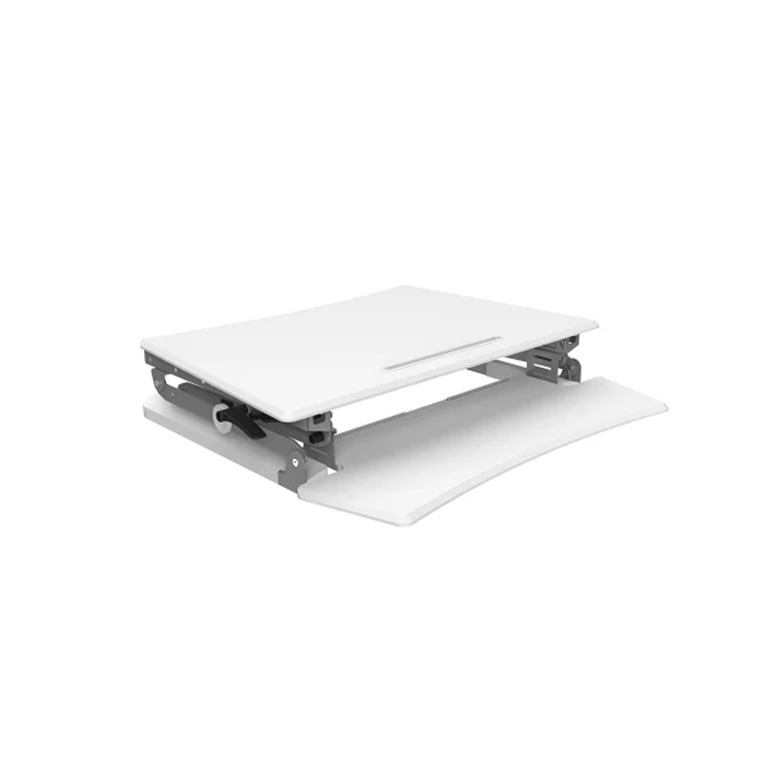 It is well made, sturdy and easy to move from sitting to standing position. 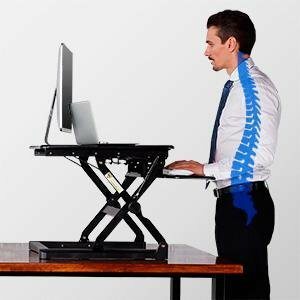 If you cannot afford a full motor-driven desk, this if for you!.Spending over 60hrs per week at the computer my back was suffering. Despite having the best office chair available, the long hours spent sitting became torture!. After investing in the Loctek workstation I can now stand at my desk and work with the same dual-monitors. My posture has improved and most of the back pain has gone. This product is well worth the investment to improve your health if, like me, you need to spend long hours at the keyboard. 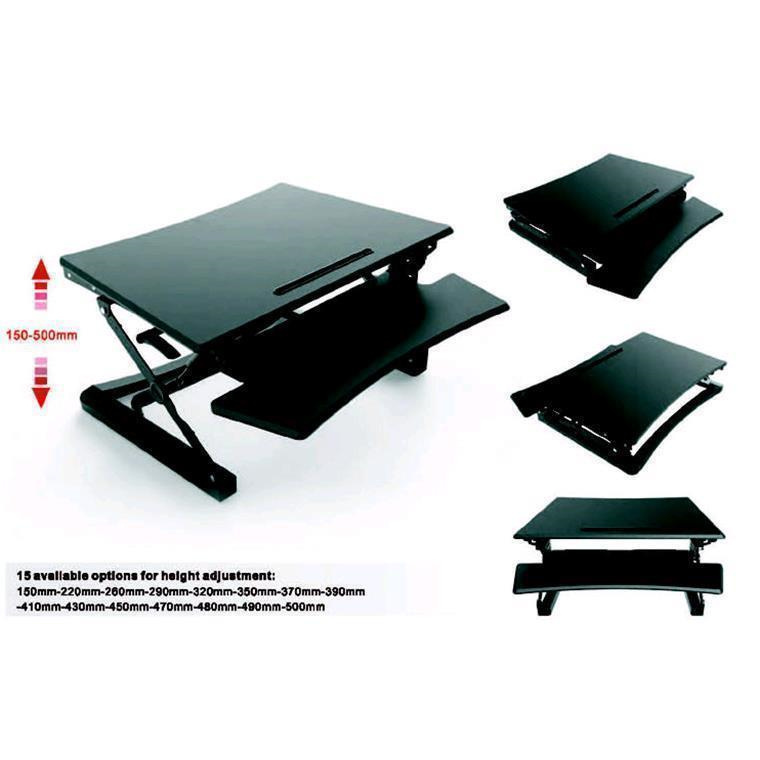 It is well made, sturdy and easy to move from sitting to standing position. 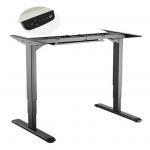 If you cannot afford a full motor-driven desk, this if for you!. I had been after a variable option for some time but others on the market out of the price bracket. 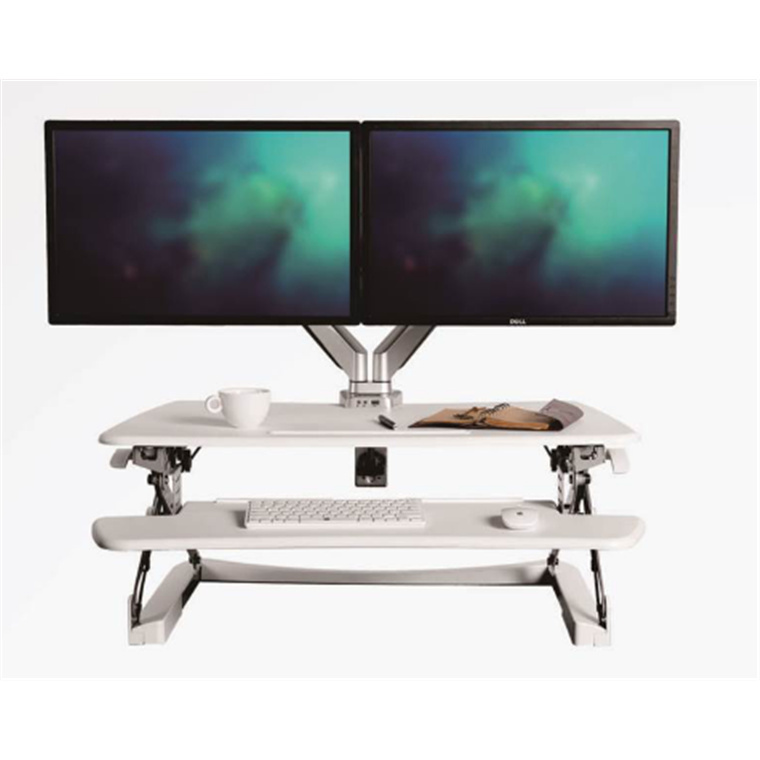 This one is awesome, has a huge workspace for files your working from and our existing two screen bracket attached no problem. Have been using it for about a month now. Absolutely love it! 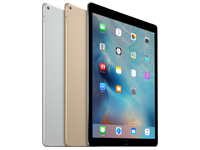 !I had been after a variable option for some time but others on the market out of the price bracket. This one is awesome, has a huge workspace for files your working from and our existing two screen bracket attached no problem. Have been using it for about a month now. Absolutely love it!! 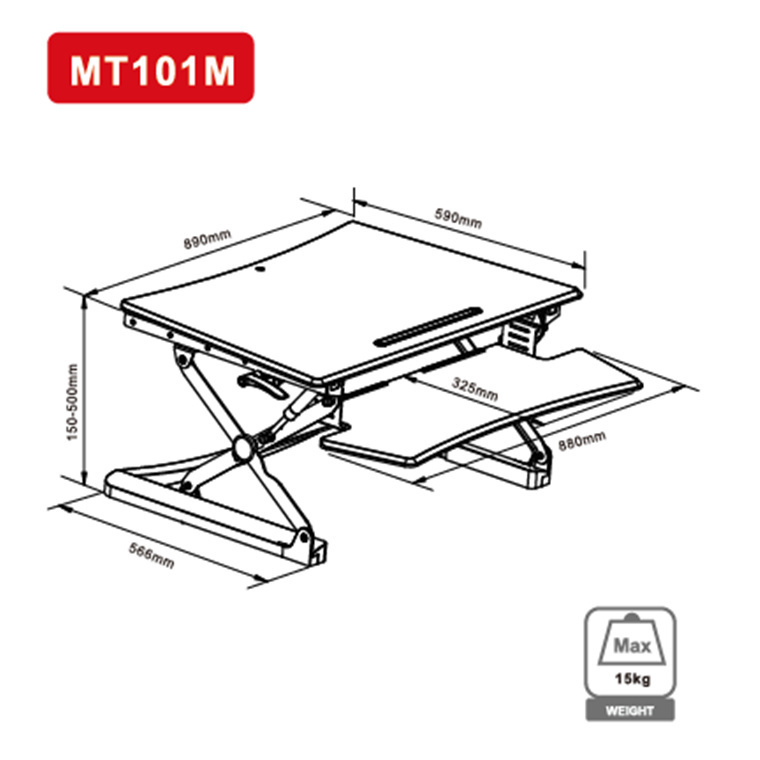 I wanted to try an adjustable workstation but the Varidesk option seemed too expensive so I went for this one and I'm so pleased that I did! It was delivered the day after I ordered it and was very easy to set up. I've been using it for several weeks and I'm very happy with it. 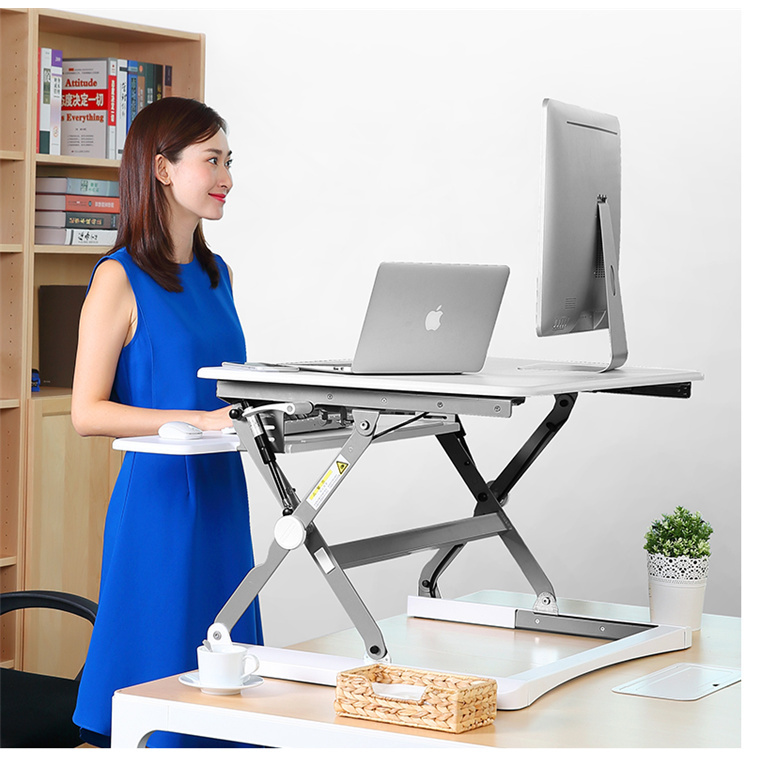 I can stand at my desk for an hour or two each day and sit down when I've had enough of standing up. 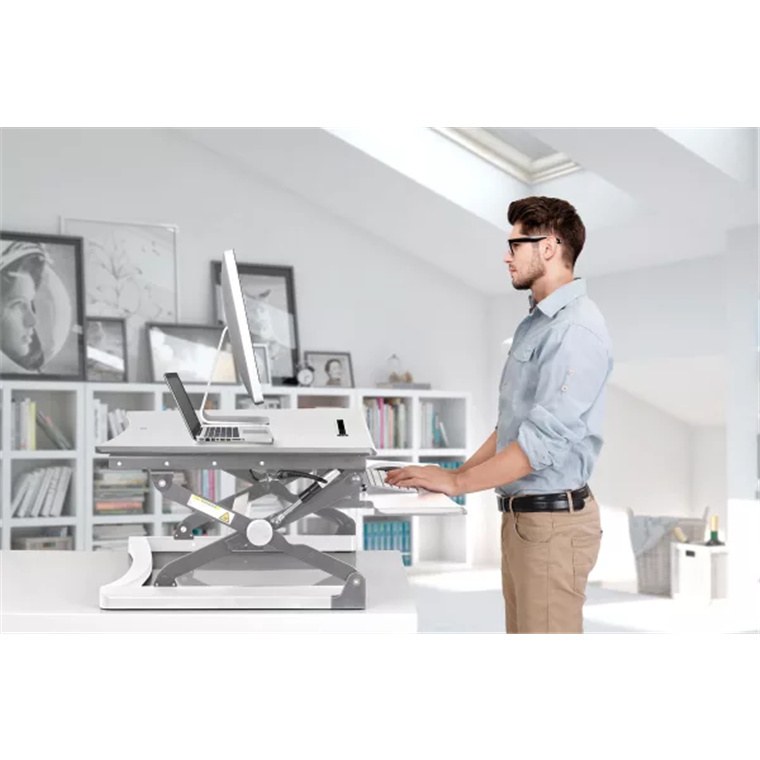 Totally satisfied with this high quality product!I wanted to try an adjustable workstation but the Varidesk option seemed too expensive so I went for this one and I'm so pleased that I did! Totally satisfied with this high quality product! Helped with my back problem.Helped with my back problem. Easy to assemble. Great work space area. Recommended.Easy to assemble. Great work space area. Recommended. Well worth the purchase. Easy to adjust up and down. Does the job well and looks great.Well worth the purchase. Easy to adjust up and down. Does the job well and looks great. 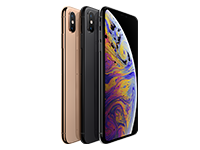 PB Tech price: PB Tech price: $345.00 ex. $396.75 inc.